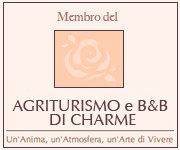 Sadio and Donatella have transformed their passion for animals and nature into a professional activity by creating their Horse Riding Centre with an Organic farmhouse in an uncontaminated valley of Chianti reserved for you and the horses. Please take a look at our resumes and training experience, under the Sadio and Donatella tabs. We are two people who for more then 20 years have practiced what we have always believed.We believe that we can have horses who provide a service to our guests while at the same time working them no more then is neccessary for a healty life. Even if this means we have to limit the number of guests at our center. We reward our horses with a daily routine that includes time in the pasture with other horses. We like to say to ourselves, "in my next life I want to come back as a horse at Center Ippico Berardenga!